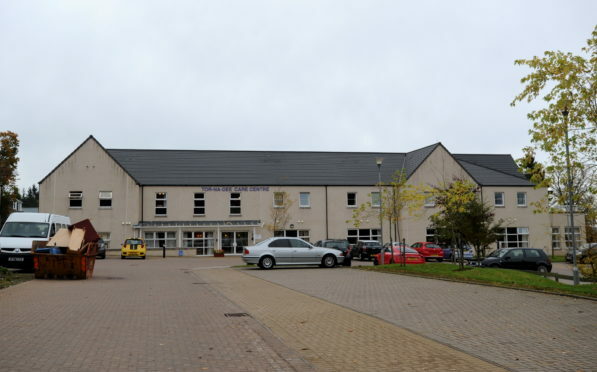 A north-east care home worker has been ordered to write a “reflective” essay after refusing to help a resident go to the bathroom and shouting at a colleague. Patrycja Lubinska-Jaszczak appeared in front of a Scottish Social Services Council (SSSC) panel following the allegations about her behaviour at Tor-Na-Dee Care Home in Milltimber. This then meant a male carer at the home had to help the resident, despite their preference to only be looked after by women. In addition, Ms Lubinska-Jaszczak refused to help a resident into bed, and told a colleague that she preferred using her mobile phone to helping people in her care. The SSSC ruled that the worker’s fitness to practice was “impaired” because her behaviour was creating tension with workers. It also meant she was not treating people with dignity and respect. The SSSC’s report into the matter described the worker’s actions as being of a “serious nature”. It added: “You were an experienced care assistant and had been employed in the role for around 19 months at the time the behaviour under consideration occurred. A 24-month warning has been placed on Ms Lubinska-Jaszczak’s registration. She has also been told to write a reflective account addressing the impact of her behaviour, what she has learned about it and how she can reassure the SSSC that such incidents will not happen again. A spokeswoman from Care UK, which operates Tor-Na-Dee, said Ms Lubinska-Jaszczak’s went through a disciplinary procedure and was fired following the allegations.